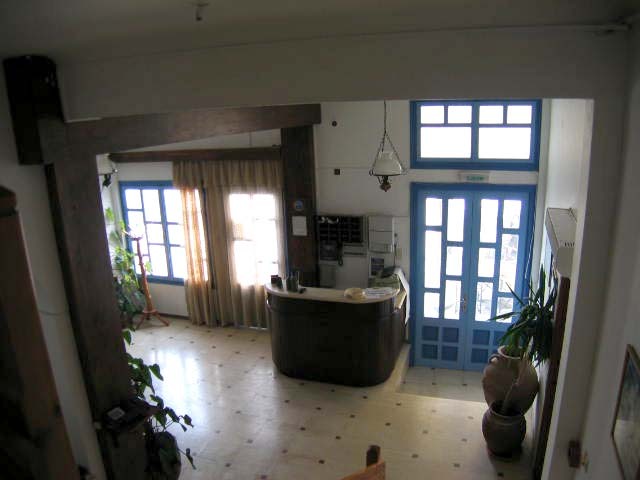 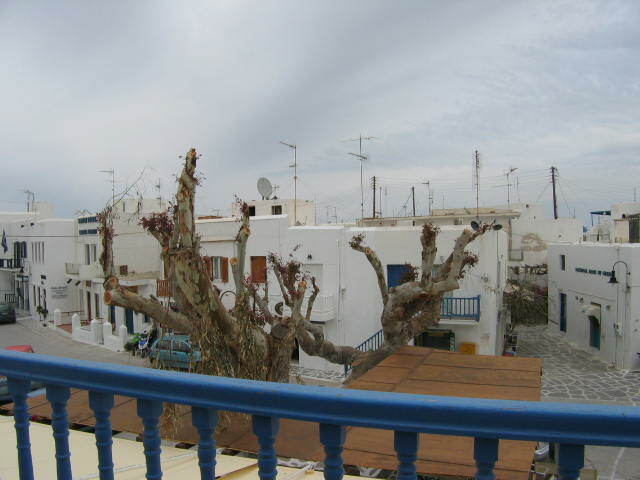 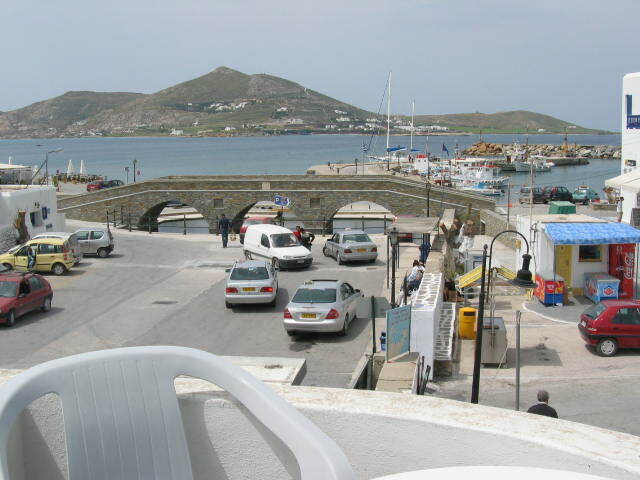 Hotel ALIPRANTIS is located in the central square of Naoussa, Paros. 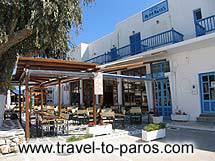 It is a family-type of business, which is based on the familiar greek and specifically the Parian hospitality. 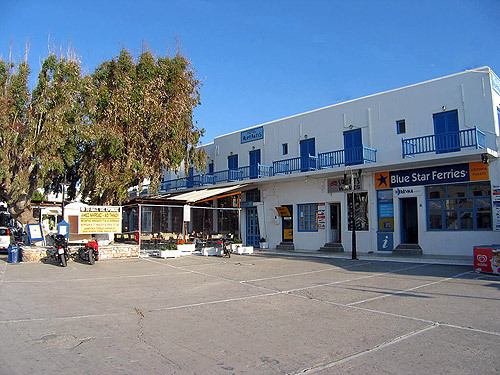 The hotel was founded on 1981 and renewed on 2002. 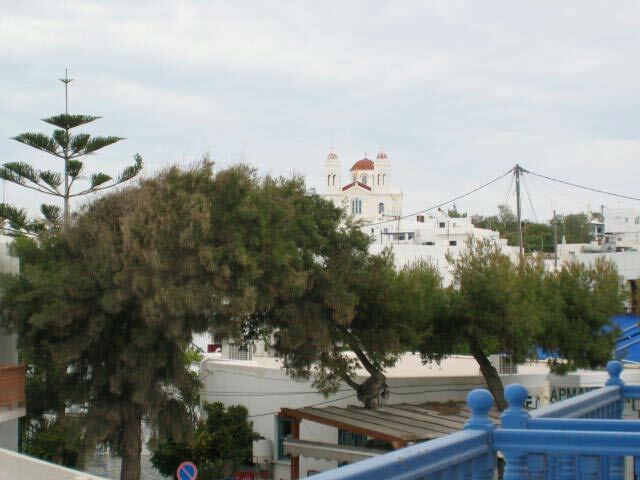 It is situated in the center of Naoussa town and you, as a customer, have the chance to reach the whole market and everything else you wish, in a few seconds. 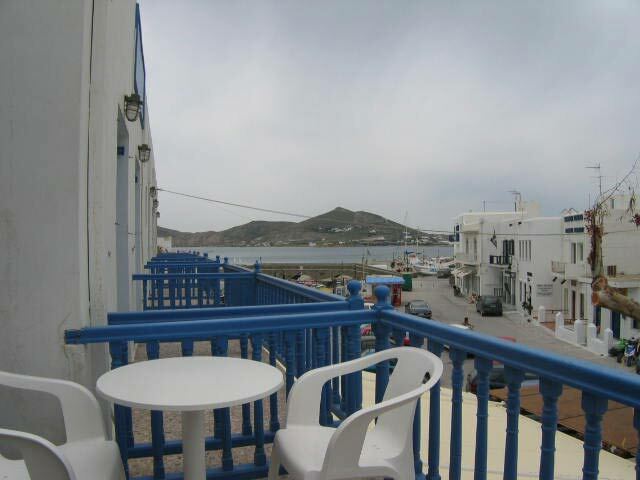 The beach is only 50 metres away, 10 kilometres from the port and 20 from the airport. 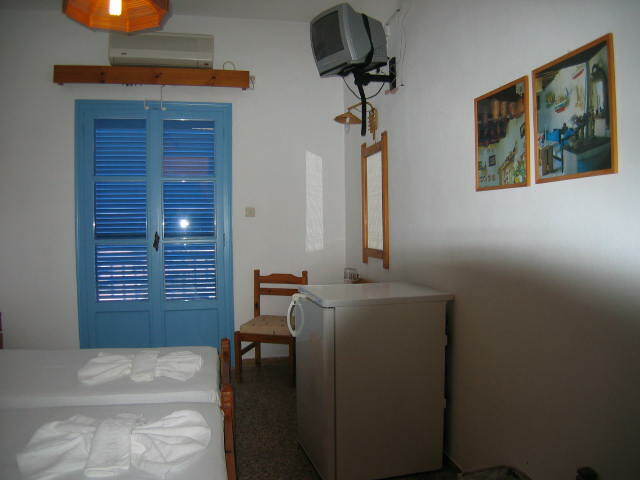 The hotel consists of fifteen rooms with television, air-condition, fridge, 24hour hot water supply, telephone. 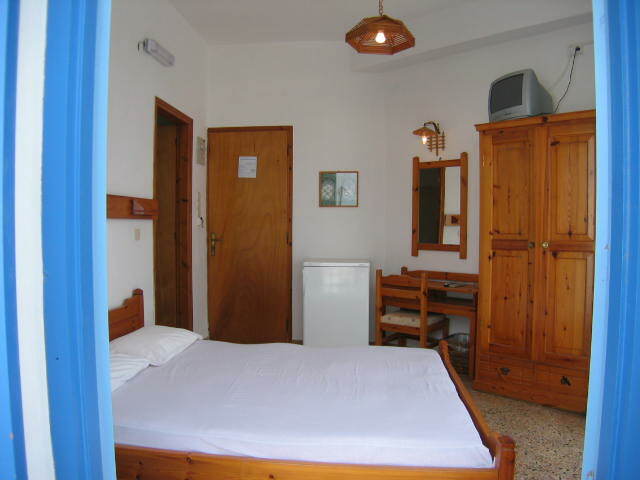 The hotel rooms are cleaned daily. 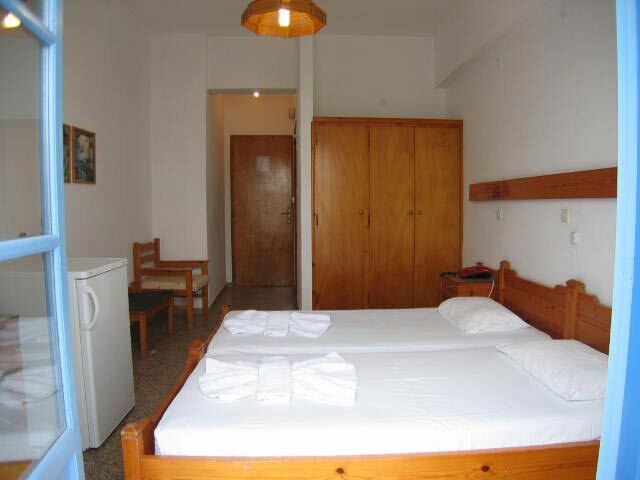 At the first floor of the hotel, you will find the cafeteria which provides a great vriety of delicious meals and breakfast. 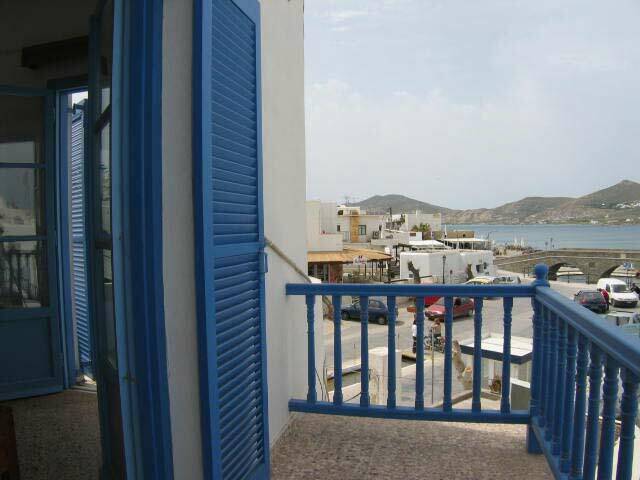 Furthermore, home-made pastries, producted in the cafeteria are offered to satisfy customers.